Your quest for a program to download videos from YouTube, Vimeo and many other sites has been finished. All that is left to do is to download the program and install it. Available for Windows, macOS and Ubuntu-based operating systems. 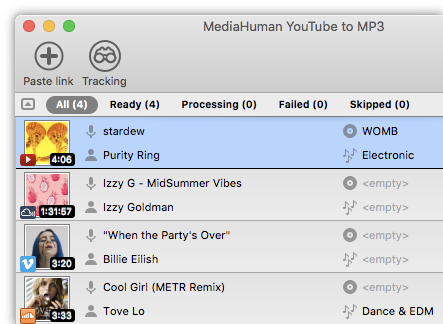 The best solution to get free music on YouTube for Windows, macOS and Linux. You will be pleasantly surprised by the speed of downloading and simplicity of the app. 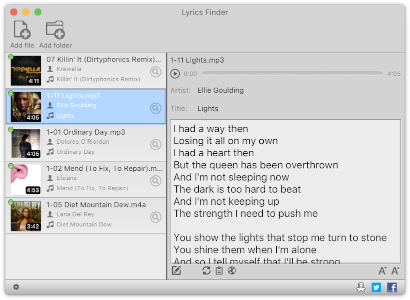 This app will help you to find all missing lyrics in your music library. It supports most used music formats like MP3, M4A/AAC, FLAC, etc. Available for both Mac and PC. Freeware. 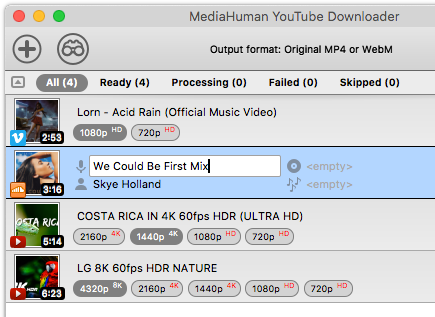 Save your favorite music from YouTube to MP3 format easily. Download and convert any YouTube videos for viewing offline. Freeware audio converter with a bunch of formats supported. Makes your life easier when you need to convert videos. Watch YouTube videos without flash, ads and comments.